Taking the excuse about the new TECHNIC releases for the 2H,... yet another MOC build to complement the 8284 (Tractor). 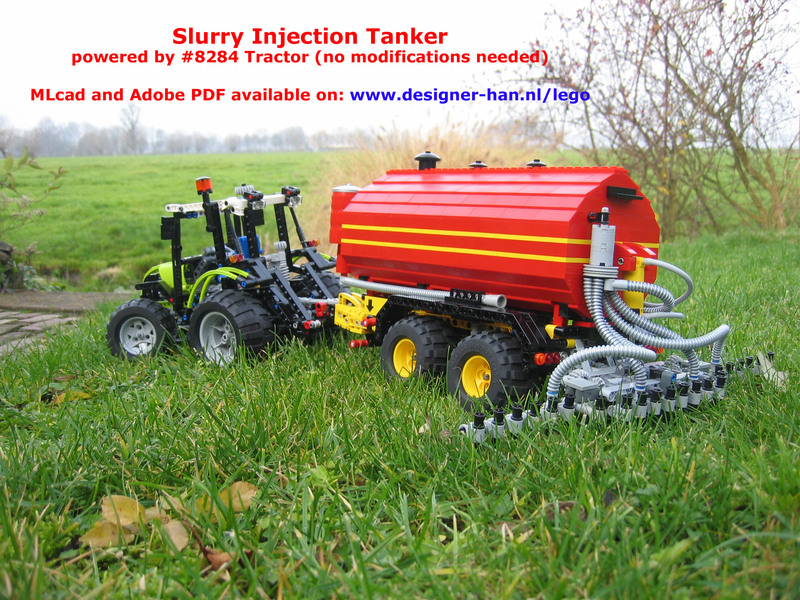 This time a detailed and functional Slurry Injection Tanker, which is another creation from Han. As usual, you may find more photos at BS (Here at Han's folder).